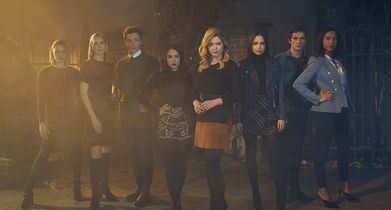 I. Marlene King will expand the universe of “Pretty Little Liars” for Freeform with a 10-episode series order for “Pretty Little Liars: The Perfectionists,” featuring returning fan favorites Sasha Pieterse as Alison and Janel Parrish as Mona and starring Sofia Carson (Disney’s “Descendants”) as Ava. The drama also welcomes Sydney Park (“The Walking Dead”) as Caitlin, newcomer Eli Brown as Dylan, Graeme Thomas King (“The Widow”) as Jeremy, Kelly Rutherford (“Gossip Girl”) as Claire, and Hayley Erin (“General Hospital”) in an undisclosed role. In Beacon Heights, a seemingly perfect town, a group of three college friends struggle with the stress of being overachievers. In the aftermath of the town’s first murder, each Perfectionist hides behind a secret, a lie and an alibi. Like its predecessor, “Pretty Little Liars,” which was No. 1 on the New York Times bestseller list, “The Perfectionists” is also based on a popular book series penned by Sara Shepard. 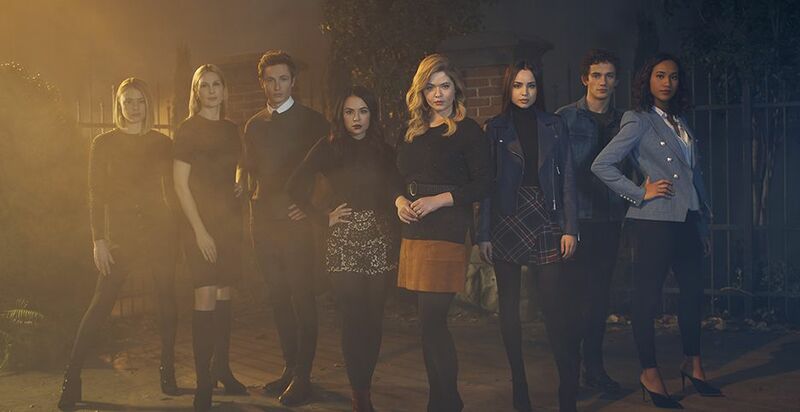 “Pretty Little Liars: The Perfectionists” is produced by Alloy Entertainment and Long Lake Media, in association with Warner Horizon Scripted Television. I. Marlene King (“Pretty Little Liars,” “Famous in Love”) wrote the pilot and serves as executive producer on the series with Charlie Craig (“Pretty Little Liars,” “The 100”), Lisa Cochran-Neilan (“Pretty Little Liars,” “Famous in Love”), Leslie Morgenstein (“Pretty Little Liars,” “The Vampire Diaries”) and Gina Girolamo (“The 100,” “The Originals”). The pilot was directed and executive produced by Elizabeth Allen Rosenbaum (“Relationship Status”).